Moreno SS Polo shirt by Ontour is the right fit for classic corporate workwear and the summer golfing tournaments. With low a low price point and quality construction this polo is one of best products to look sharp on the sales floor, out on the road and down on the golf course. We can customize your team golf shirts or sales wear with award winning embroidery, your business logo and badge each with a personal touch, your name or staff name. 3 new colours: Maroon (384), Forest Green (640) and Steel Grey (945). 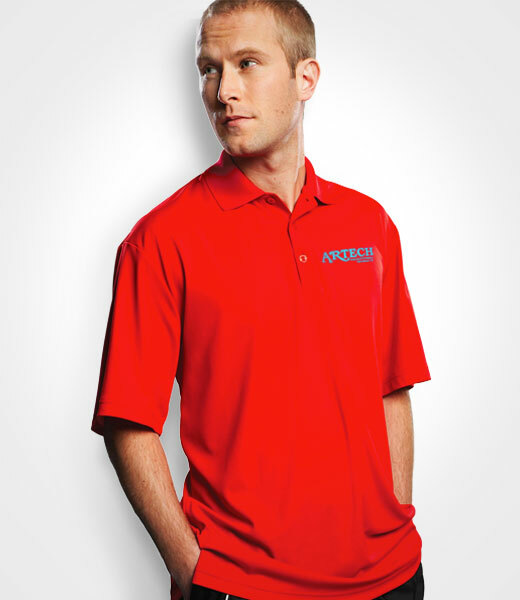 Advanced WEBTech™ 100 wicking fabric offers breathable moisture management. Classic flat knit collar. Contrast ‘X’ shaped bartacks at slits and taping on inside of slits.